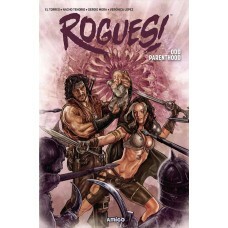 SEP171142 - The funniest rogues in all fantasy realms are back! An evil concubine seduces an evil patrician who commands an evil man-at-arms who hires an evil wizard who summons an evil earth elemental to kill a child. The child that the-not-so-evil (but sometimes wicked) Bram and Weasel are reluctantly guarding!